Four figures in Belgian football have been charged with organised crime and corruption, and a fifth with money laundering, following a series of arrests on Wednesday in a vast fraud investigation, Belgium's federal prosecutor said on Thursday. Police searched 44 homes in Belgium and another 14 abroad, in France, Luxemburg, Cyprus, Montenegro, Serbia and Macedonia, in coordinated raids. Foreign bank accounts and safes were seized, totalling €3.6 million, as well as luxury watches, jewels and cash. 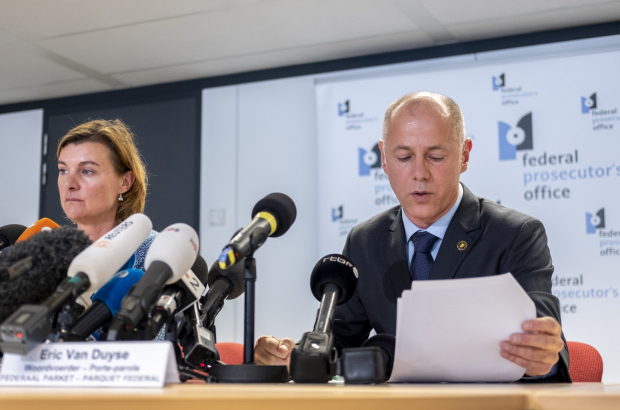 The homes searched in Belgium belonged to six football club board members, four brokers in the football players market, two referees, one former lawyer, two jewellers, two journalists, a trainer and other possible accomplices, the prosecutor said. In Belgium, 29 arrests were made, of whom 22 suspects were referred to an investigating judge for potential charges. Searches were also carried out at nine Belgian football clubs - RSC Anderlecht, Club Bruges, KRC Genk, KV Kortrijk, KV Mechelen, KV Oostende, Sporting Lokeren, AA Ghent and Standard Liège. Four people overseas were arrested on suspicion of setting up what the public prosecutor called "suspect financial schemes". Wednesday's arrests were the result of an investigation by the federal police's specialist sports fraud department in late 2017, which detailed "suspect financial operations" involving two brokers in the players' market, the prosecutor said. Additional evidence has since come to light of possible match-fixing in two relegation-battle games at the end of the 2017-18 Belgian football season - Antwerp v Eupen and FC Mechelen v Waasland-Beveren. Matches in Belgium's second football division, 1B, have been postponed this weekend after FC Mechelen was named as one of the clubs under investigation. On Thursday, the Belgian Football Union announced it was suspending two referees for life, Bart Vertenten and Sébastien Delferière, who have been named in the fraud investigation. De Standaard and La Libre Belgique report that FC Brugge coach Ivan Leko has been charged with money laundering, but cleared of any wrongdoing in relation to corruption or match-fixing. His lawyer said the charge related to a payment he received four years ago. "My client was released without any conditions," lawyer Walter Van Steenbrugge said. "My client will provide documents justifying the amount paid. He is not concerned with the rest of this affair."